Symbols. 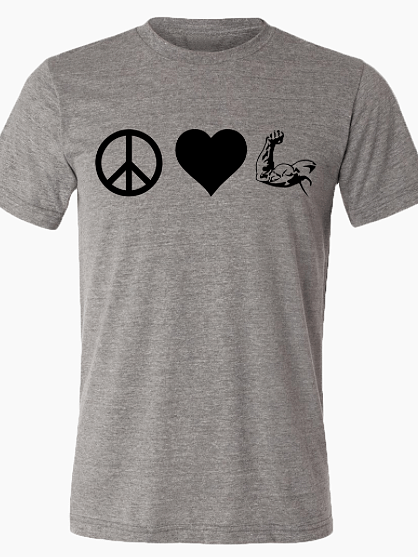 Peace, Love and Muscles on the softest- best fitting T-shirt you will ever own. Muscle hugging, light fabric that looks tight but feels loose. Muscles look good while forgiving in the waistline. Hugs the body in all the right places. sizes S, M , L , XL ( Please indicate which size you would like).